The client approached Sims Designs initially regarding the creation of a new website for their small hand tools. They were also interested in achieving a high ranking for their new website so decided to use our seo services as well. As the website had just been designed we were able to work on the site in conjunction with Sims Designs website development team to optimise the site for the client. As with every project the client provided us with a list of search terms and we then targeted these for their website. 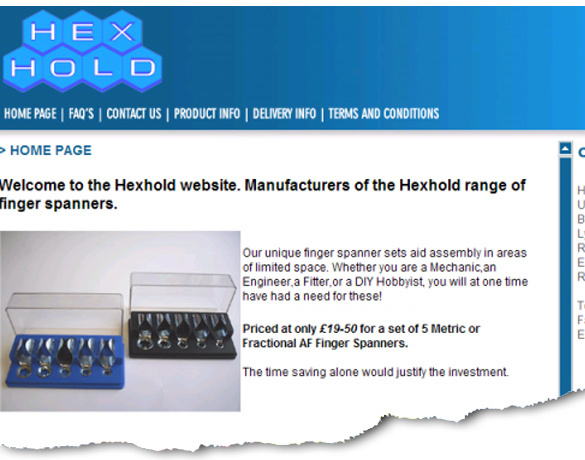 As the site was new it was going to take a few months before the site was picked up by the main search engines, so our initial focus was on a backward links campaign for the Hexhold site, along with submission to a range of directories.